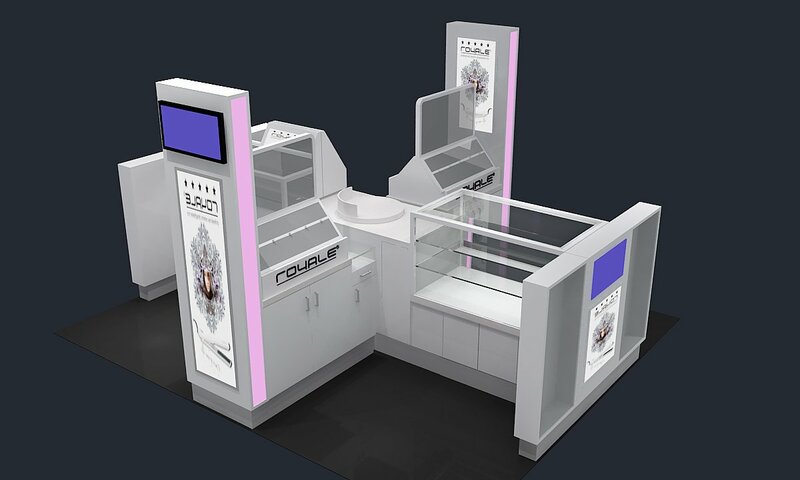 This is a cross style kiosk concept perfectly for hairdressing business and Hair Straightener retail. 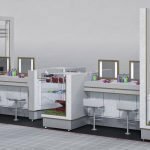 With a standard 10*10 ft or 12*12 ft kiosk lease in mall, you can easily create 4 seats for your customers, These kiosk ideas can also be used in a barbershop or haircutting stations. Especially for fast hair cutting service. 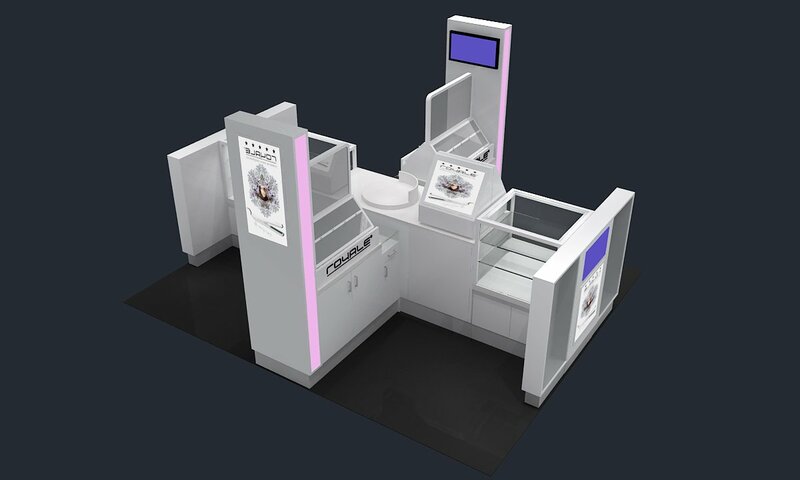 On the front sides of the kiosk are engaged with two glass display showcase where you can display Hair Straighteners, on the other sides. 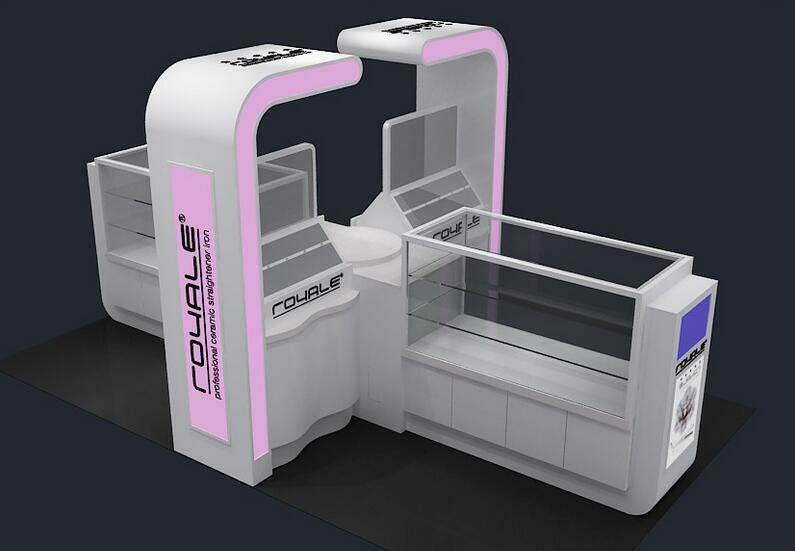 with double-sided mirror for hairdressing business or service. Each corner can fit in one bar stools for the customer. 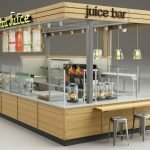 This kiosk design is most use of the space to create unique but functional kiosk ideas. Here below is the finished real photo of the kiosk in the workroom. 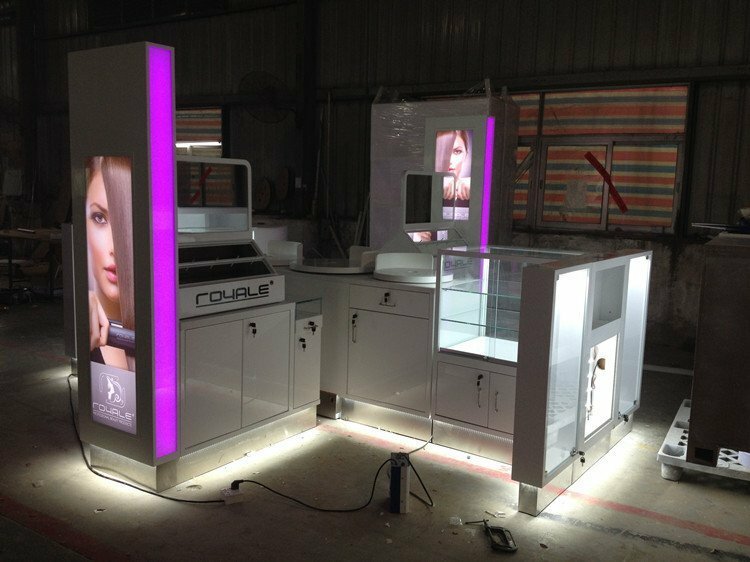 If you want to check our kiosk quality, welcome to visit our factory. Or contact us, we will share with you our projects in your nearby cities or malls. 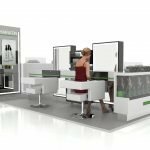 One more different but similar concept hair kiosk design for Hair Straightener or hairdressing business. you can check it. 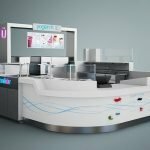 Unique kiosk will always here to provide clients a high-quality kiosk with the best price.